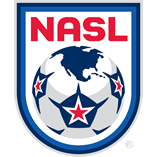 The North American Soccer League (NASL) has expanded its relationship with ESPN going into the 2015 season, announcing Thursday that a minimum of 120 league matches will be carried live on ESPN3, ESPN Play, and ESPN Player in 75 different countries. Eight NASL clubs – Atlanta Silverbacks, Carolina RailHawks, Fort Lauderdale Strikers, Indy Eleven, Jacksonville Armada FC, Minnesota United FC, San Antonio Scorpions, and Tampa Bay Rowdies – will deliver all 15 regular season home matches live on ESPN3 in the U.S., ESPN Play in Latin America, and ESPN Player in Europe, the Middle East and Africa. ESPN3, ESPN’s live multi-screen sports network, is accessible online at WatchESPN.com, on smartphones and tablets via the WatchESPN app, and streamed on televisions through Amazon Fire TV and Fire TV Stick, Apple TV, Chromecast, Roku, Xbox 360 and Xbox One. NASL matches will be delivered on ESPN Play in Latin America and ESPN Player in Europe, the Middle East and Africa. ESPN Player viewers will need to purchase a subscription to view matches. Full details on the international availability will be announced in the coming days. The league will continue to be covered across other ESPN platforms, including ESPNFC.com. The NASL and ESPN kicked off their agreement last year, with ESPN3 serving as the home for the “NASL Match of the Week.” Ultimately, the NASL delivered over 30 NASL matches on ESPN3 last year, including all three postseason matches. The New York Cosmos, Ottawa Fury FC, and FC Edmonton will be offering their home matches on different live streaming platforms in 2015, but the majority of their road matches will be shown on ESPN3. ONE World Sports will carry all Cosmos home matches. In Canada, Fury FC’s home matches will air live on their website, while FC Edmonton will air its home matches live on its TV partner’s website, City TV Edmonton. In certain cases, the streaming platform for away games will vary depending on where the viewer is geographically. Matches played in Edmonton and Ottawa will be available to U.S. viewers via ESPN3 and Canadian viewers via City TV and OttawaFuryFC.com respectively. Matches played in the U.S. (except New York) will be available to American viewers via ESPN3 and Canadian viewers via TSN GO. 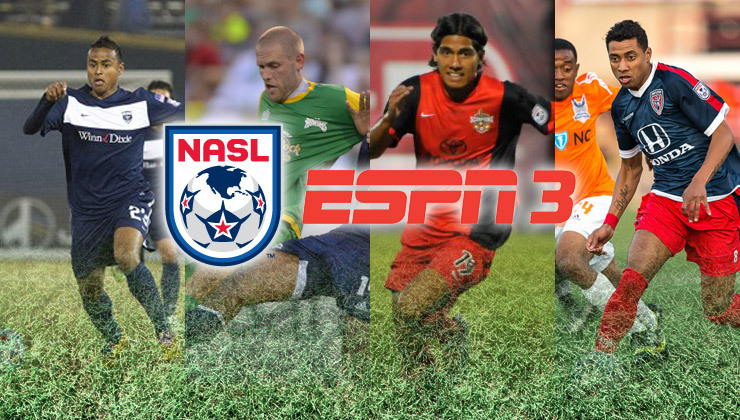 The 2015 NASL Spring Season kicks off on Saturday, April 4 with five matches – all of which can be seen live on ESPN3.